Contact Phoenix Coverley by email. Phoenix Coverley is a dedicated family law practitioner. She is committed to helping clients bring their divorce and custody issues to a close in a manner that is professional and in the best interests of the parties and their family as a whole. Ms. Coverley can help guide you through the steps of separating your assets and creating a custody and visitation plan that is in the best interests of the parties. Phoenix Coverley received her bachelor’s degree from UC Davis and went on to get a Masters in Special Education from SJSU. After working for ten years as a teacher and administrator for children with mild to moderate learning disabilities, Phoenix entered The Monterey College of Law in 2006. While in law school Ms. Coverley became a trained mediator. She gained extensive experience mediating small claims cases and private mediation matters. Ms. Coverley also held internships for the traffic division of the Monterey County District Attorney’s office and The Monterey County Counsel. After graduating, Ms. Coverley moved to San Diego where she worked for the Legal Aid Society of San Diego. 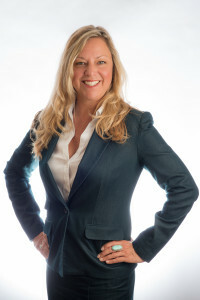 Ms. Coverley currently lectures in Business Law for the San Diego University of Integrative Studies and has been practicing law in the San Diego area since 2011.